You'll pay nothing if unauthorized charges are made to your credit card as a result of shopping at Hello Comfort. Zip Code Enter a valid zip code. Enter a valid zip code. These fragrant white calla lilies are breathtaking. 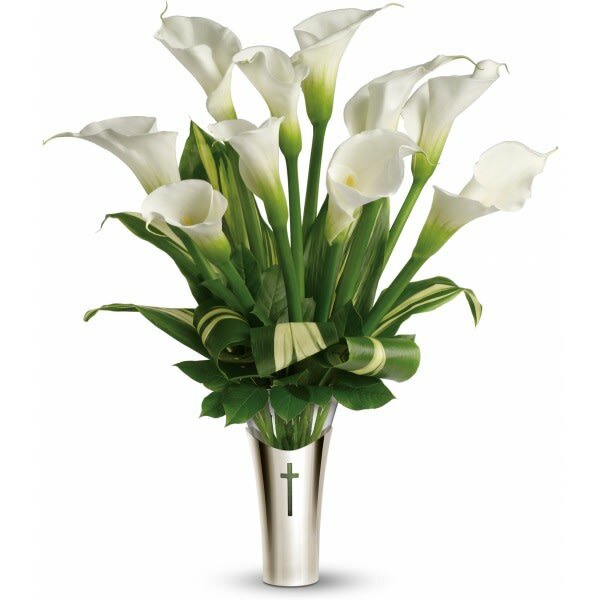 The stunning contemporary vase with its cross motif will be a treasured keepsake. A lovely choice for home or service. This arrangement includes white calla lilies, variegated ti leaves, and salal. 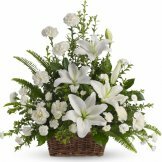 All arrangements from the Sympathy Store are hand-designed and delivered by a local florist. An appropriate gift to be sent from a family member, friend, or business associate. The Inspiration Bouquet can be delivered to the funeral service or family residence. 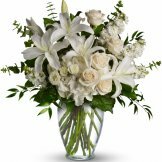 This arrangement measures approximately 21 1/2" W X 24 1/2" H.
By submitting a review you are giving Hello Comfort the nonexclusive right to post your review on this Web site and other media. Your review will be posted within seven business days from date of submission. Reviews that do not meet our guidelines will be deleted. Please read our Review Guidelines. Your email will not appear anywhere on our site. We will only use this to contact you about your review if there is a need to communicate or ask you a question. It's not mandatory, but we do ask you put your email for the rare possibility we need to contact you. All of our flowers are designed and delivered by hand from a local florist. 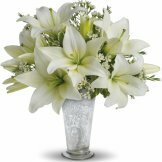 Place your order before 3:00 PM Monday - Friday, or by 12:00 PM Noon on Saturday and Sunday, in the recipient's time zone and we can have your flowers delivered the very same day! (Note that same-day delivery may not be available during peak holiday times or in adverse weather conditions). Our florists use only the freshest flowers available, so colors and varieties may vary. In the event that there is a substitution, the florist will only use flowers of equal or greater value.